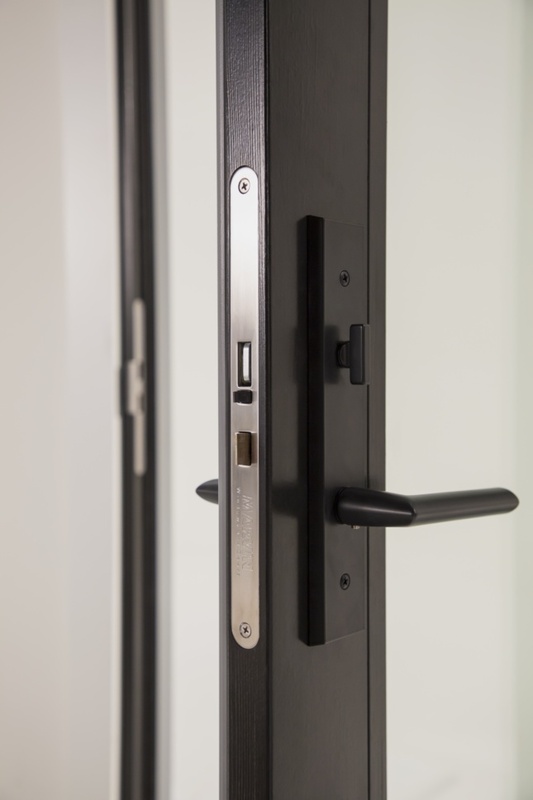 New door hardware opens up creative possibilities. Pictured: FritsJurgens' System M ginge. 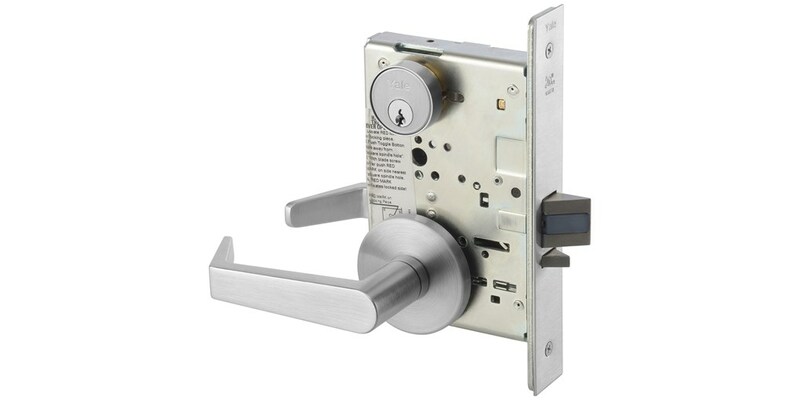 Made in heavy-duty stainless steel, this burly lock was designed for commercial applications that require strength and durability. It is available in 17 finishes. 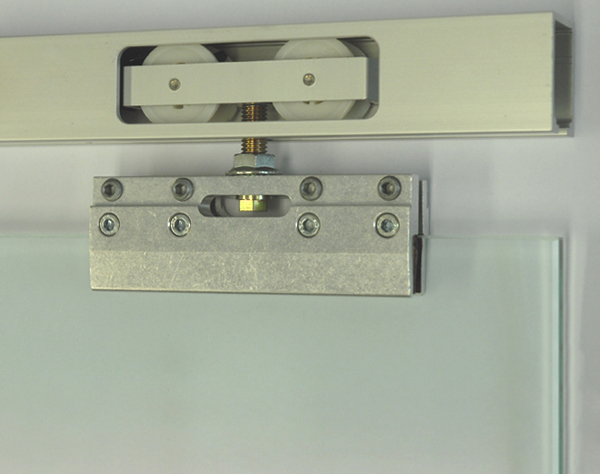 This solution allows large-scale doors to swing smoothly on a lateral hardware mechanism. 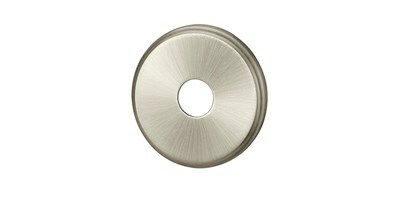 The small radius is perfect for tight spaces, in both cabinet and passage door applications. Have you ever left home and forgot if you locked the door? 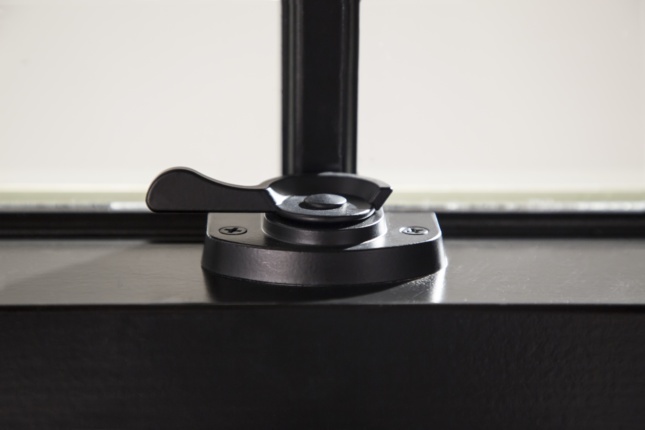 This completely automated sensor indicates if a door or window is closed and locked. Completely concealed, the Lock Status Sensor is a wireless or wired connection that works with a variety of security systems. 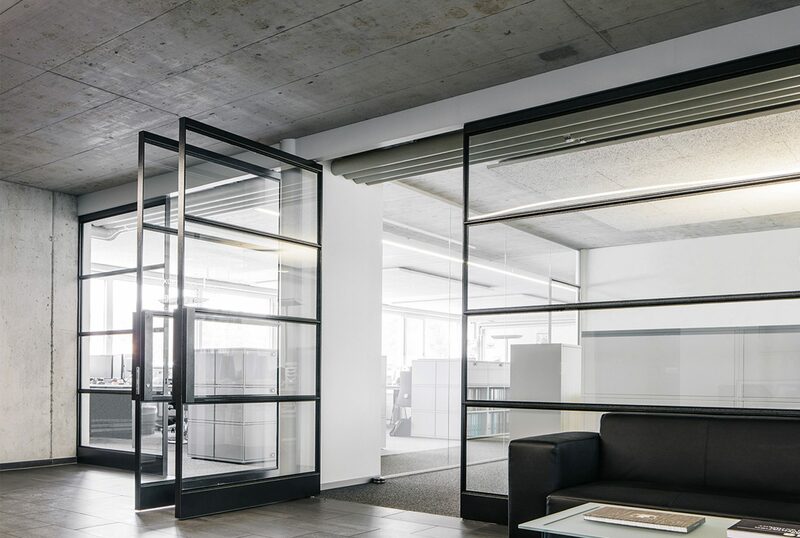 This system allows a pivoting door to be installed without any structural elements in the floor or ceiling. 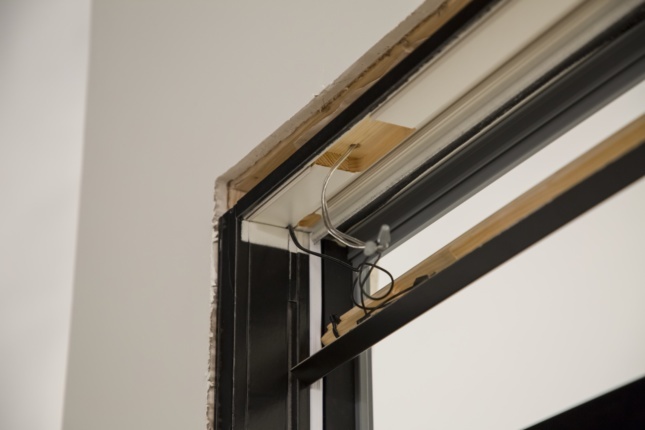 It can be used with timber, steel, and framed glass single- and double-acting doors. 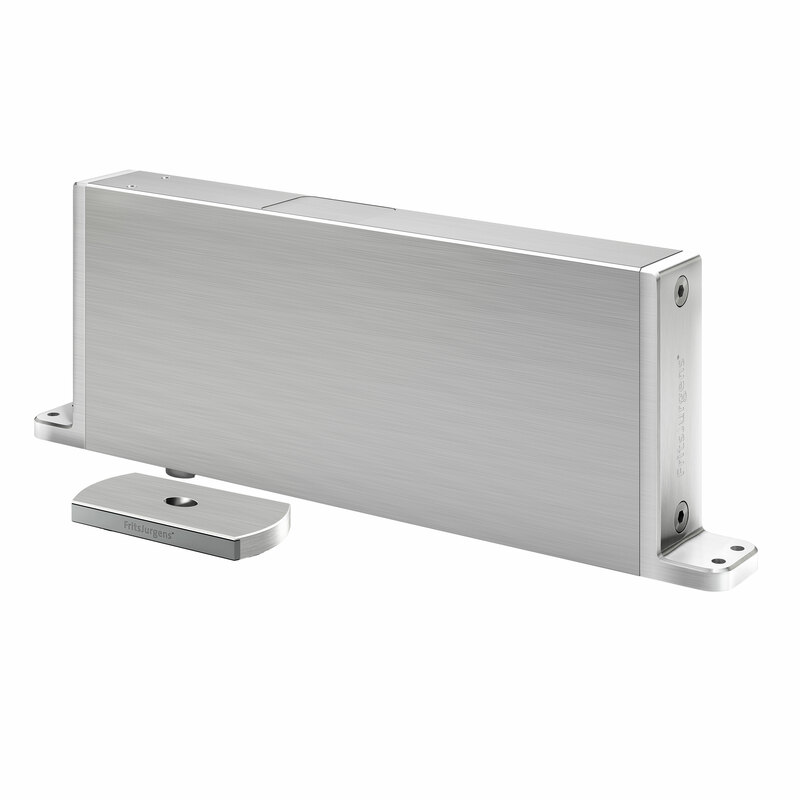 Junior is a sturdy sliding hardware system on running tracks for pocket doors. 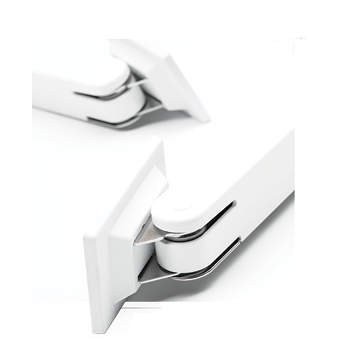 It is outfitted with a soft-closing mechanism that allows it to open and close quietly. These locks come in five variations of a circular, square, or oval silhouette, as well as 14 different finishes in gradients of chrome, gold, and bronze.